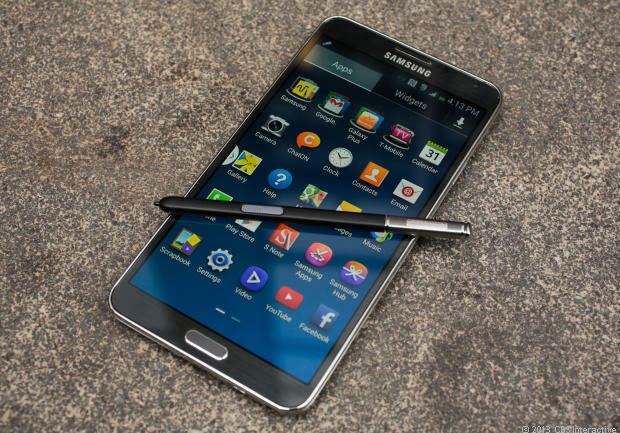 Samsung has started to roll out Android 4.4 update for its Galaxy Note 3 device. This is great news for all Samsung Note 3 users. They would feel more enthusiastic if they don’t take the rumors on Note 4 with a grain of salt because such rumors indicate Note 4 will be a better device than Note 3 and it will launch with Android 4.4 KitKat. In Note 4, the design, user-interface, display and applications will be way more improved than those in Note 3. Nevertheless, one might wonder why Samsung is up for releasing Note 4 when Note 3 was introduced less than six months ago. The tech circles haven’t been able to come up with a definite answer to this. Some of them refer to the competition in the market. As Note 3 has been proven a grand success, Apple is said to be all set to release a device with a display of 5.5 inches. If Samsung doesn’t release a better version of Note 3, they might have to face tough competition from Apple in the coming days. The expected features in the rumored Note 4 are mostly enhanced versions of Note 3’s existing hardware and software specs. For example, gesture control is already present in Galaxy Note 3, but a section of users are not happy with its quality. In Note 4, the gesture sensor and touch panel will be of improved quality so that finger movements could be detected easily and users don’t face any hassle swiping through icons on the screen or scrolling up and down. The S Pen support in Note 4 will also be better than that in Note 3. Display in Note 4 will decidedly be better than Note 3. Note 3 offers HD resolution display, which stands at 1080 x 1920 pixels. But the display resolution requires upgrading because of 5.7 inches screen size. In Note 4, the display resolution could be higher and the screen could also be of larger size. Some reports hint that YOUM technology for flexible OLED display screen will be introduced in Note 4. The bezels of the phone will be thinner than Note 3 and the display will be slightly curved for enriched viewing experience. Note 4 will have Android 4.4 KitKat as its OS. This means Note 3 users will not miss anything if they shift to Note 4. The device may also have a slew of software upgrades. One of them is the new magazine style Touchwiz UI. The UI will offer new icon setting, screen locking and notification alert. The upcoming S5 is rumored to have the same UI; since S5 is slated to release in March this year, prospective Note 4 buyers will know beforehand what features the new Touchwiz UI will bring around. In all probability, the device will hit the stores by fall. Galaxy Note 3 was released in late 2013. Note 4’s release may also take place same time of this year. As for the price of the device, we don’t have any solid information yet. However, since there will be carriers like AT&T, Sprint Nextel, Verizon and others, it may cost more than $200 under contract, owing to the presence of its improved features. Note 4 is my favorite upcoming phone, waiting for it.